Was 2017 The Best Year For Video Gaming? Video gaming has established itself as a form of media on par with television, film, and music, entering the mainstream as a multifaceted hobby thanks to the growing world of esports and yearly E3 announcements. But, besides being around for decades can an argument be made that 2017 was the best year for gaming? Let’s take a look at Nintendo alone. After a few years of the widely unpopular Wii U and a lack of must-have titles, Nintendo released the Nintendo Switch, which had operated under the mysterious name “Nintendo NX” for years before it was officially released in March. The console has been selling like hotcakes, already eclipsing 10 million in sales in just over nine months of being released. To put that in perspective, the Wii U (which came out in 2012) had only sold roughly over 13 million units as of February this year. 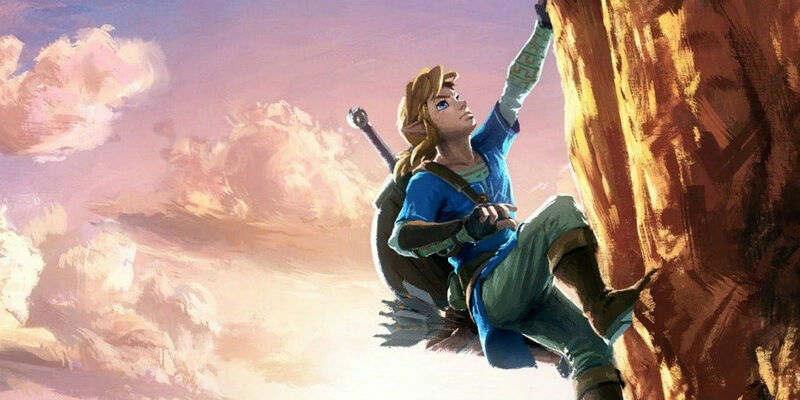 The Switch also saw the release of two of the highest-rated titles Nintendo has ever had their name attached to: Super Mario Odyssey and The Legend of Zelda: Breath of the Wild, both looking to highlight “game of the year” lists throughout the rest of 2017. Even the Nintendo 3DS, which is looking towards its eighth year of availability, continued to receive support with new entries in the Metroid, Pikmin, and Pokemon series. Not that I absolutely purchased and played all of those of course. And beyond the realm of games aimed at 10-year-olds (the only kinds I apparently play), other video gaming genres had some massive releases. The Playstation 4 had Destiny 2, Horizon: Zero Dawn, and Nier: Automata while the Xbox One had Forza Horizon 3 and Wolfenstein II. But where was the new releases for my beloved Nokia N-Gage? Now, that isn’t to say there weren’t some letdowns this year. Star Wars: Battlefront II was universally panned for its microtransactions, poor customer engagement, and presumably poisoning our water supply, burning our crops, and delivering a plague unto our houses. Well, maybe just the first two things. Additionally, some hyped titles such as Friday The 13th and Marvel Vs. Capcom: Infinite didn’t receive the acclaim they were expected to. But, hey, they can’t all be zingers. I can’t say for sure if 2017 was the best year for video gaming. Mainly because I haven’t been alive that long and am not a gaming historian. However, if you look at the evidence: tons of critically acclaimed games, an innovative new console, and the continued growth of established consoles, it looks like the thriving gaming industry is here to stay. Well, unless the economy crashes and the only thing we can play is Candy Crush. The darkest timeline.